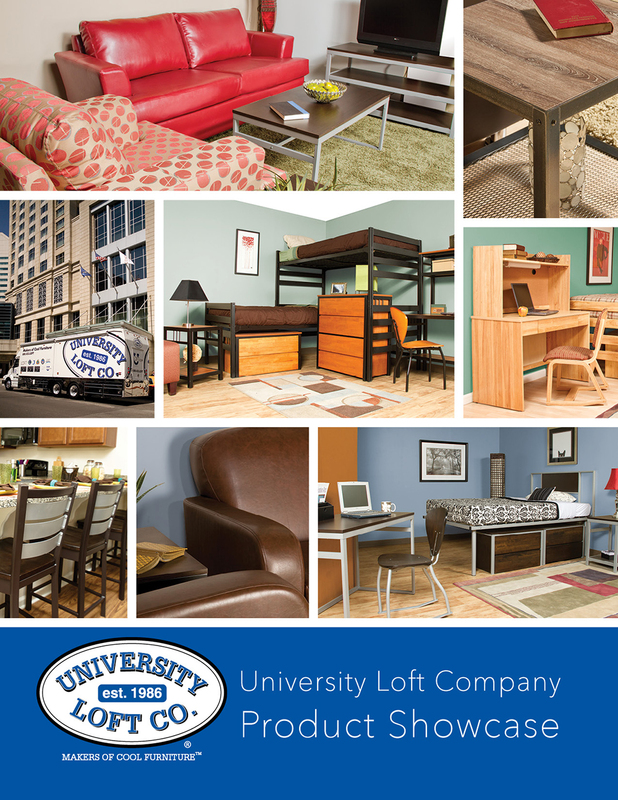 With over 31 years of experience, University Loft Company has been a pioneer in the industry. In our Product Showcase, you’ll see why. 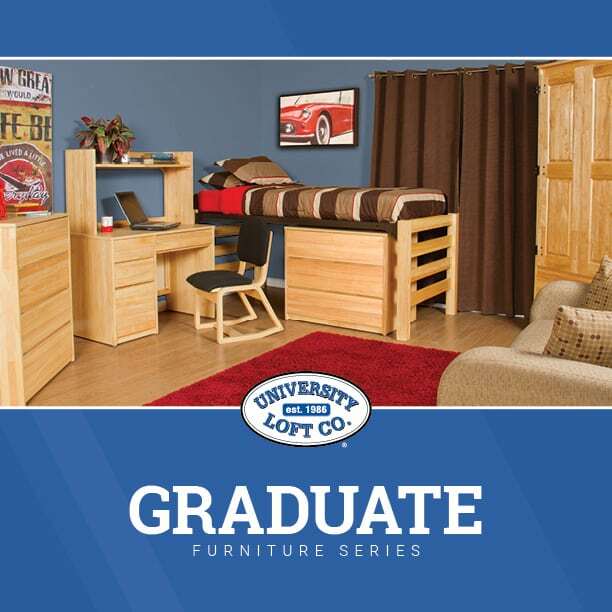 Our ever popular Graduate Series furniture is featured in this brochure. 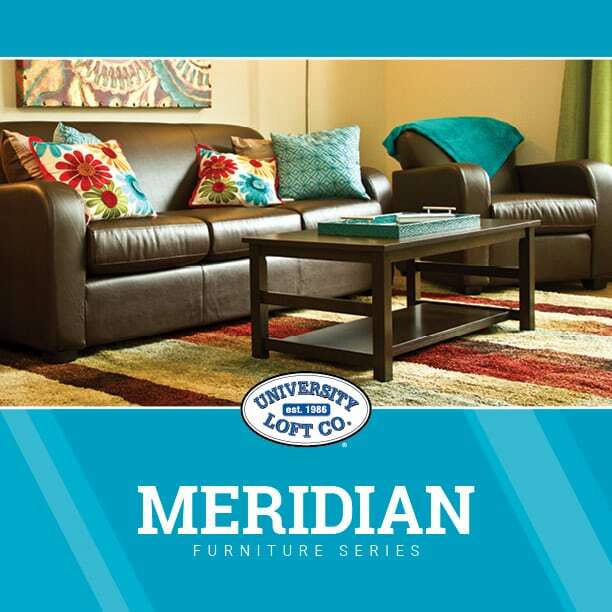 This brochure features our mixed medium (powder coated steel frames, solid wood and laminate tops) series ‘Metropolitan’. Our ‘Green’ methods are detailed in this brochure. 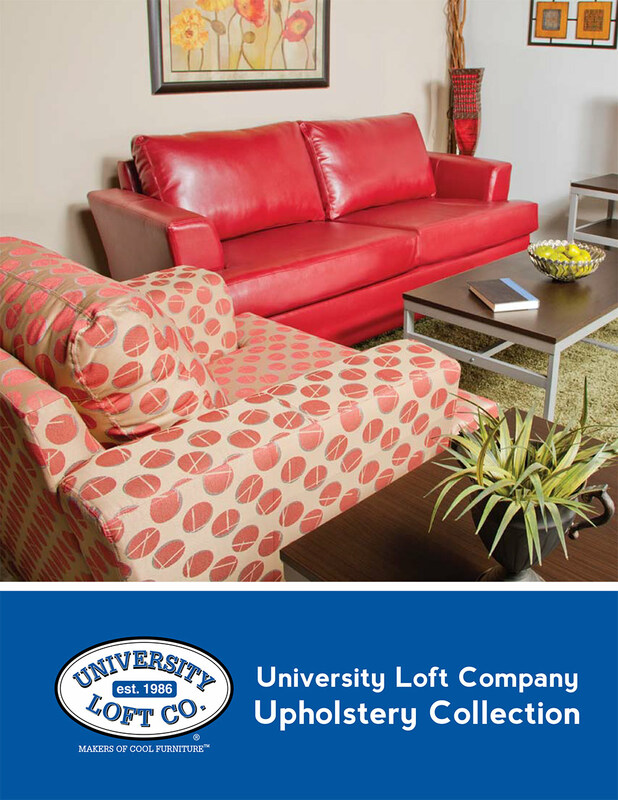 University Loft Company’s high quality, durable upholstery collections suitable for colleges, universities, lobbies, and home apartments. 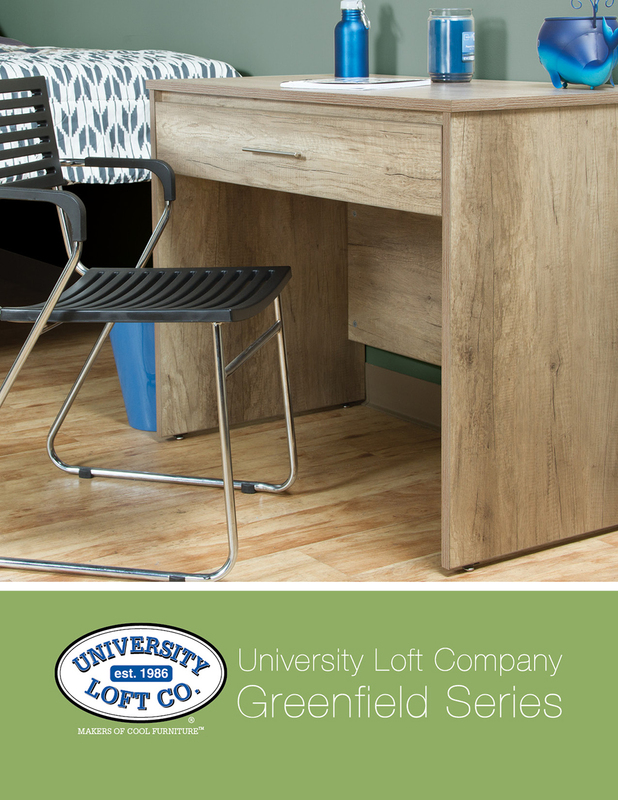 University Loft Company sets the standard in high performance engineered wood construction with the Greenfield Series. 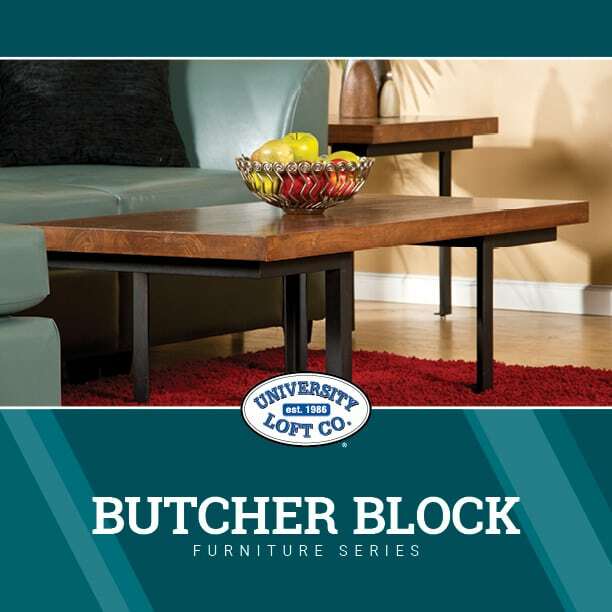 The newest series from University Loft will add sophistication to any space. 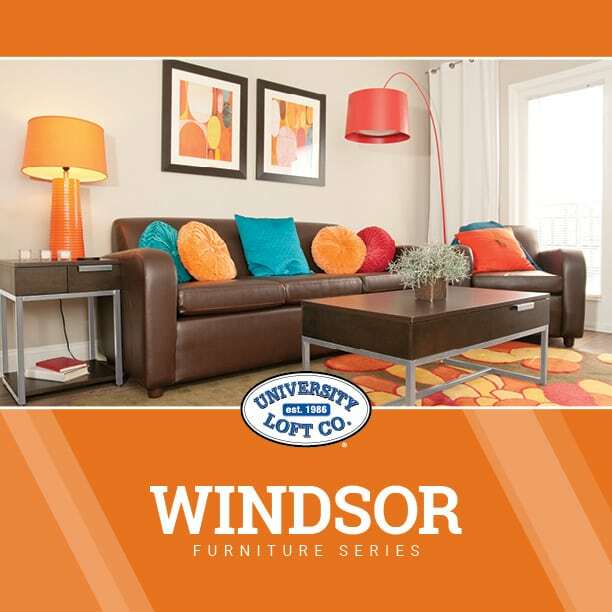 Our Uptown Series furniture is featured in this brochure. 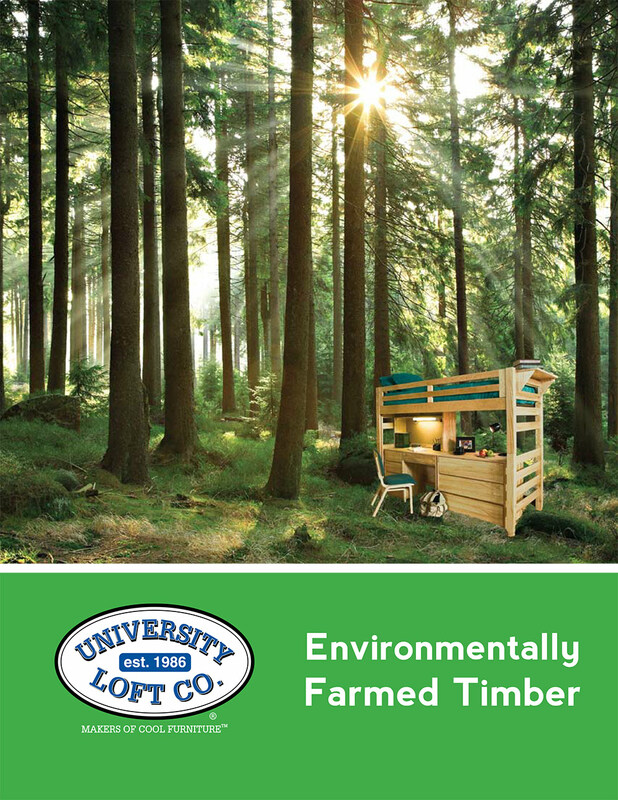 University Loft’s newest series is here. 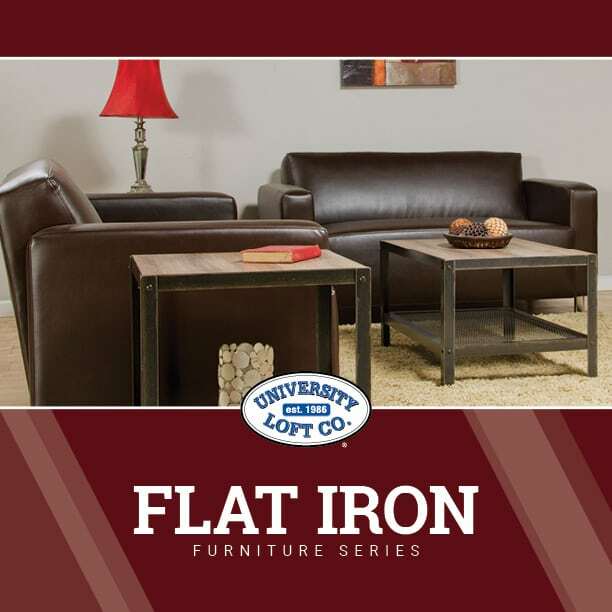 With a variety of metal and laminate finishes this series with fit perfectly in any space. 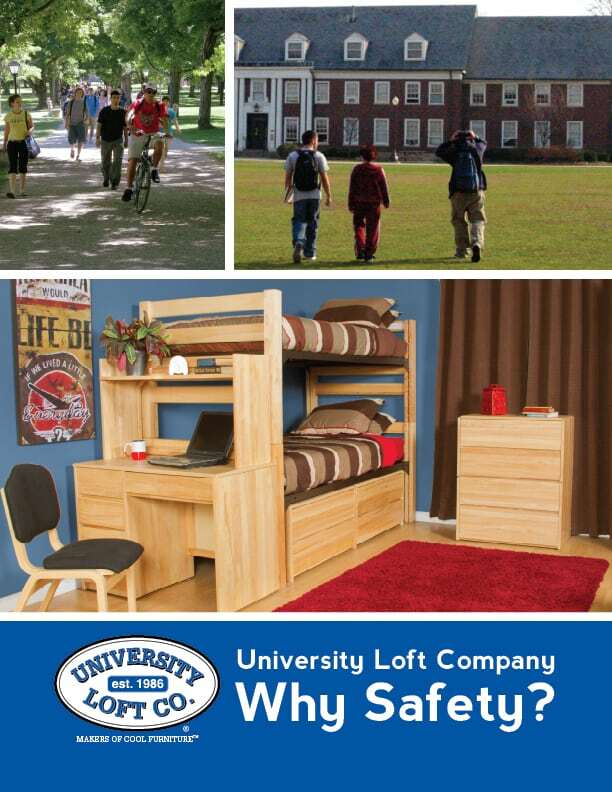 At University Loft, our furniture standards begin and end with safety in mind. 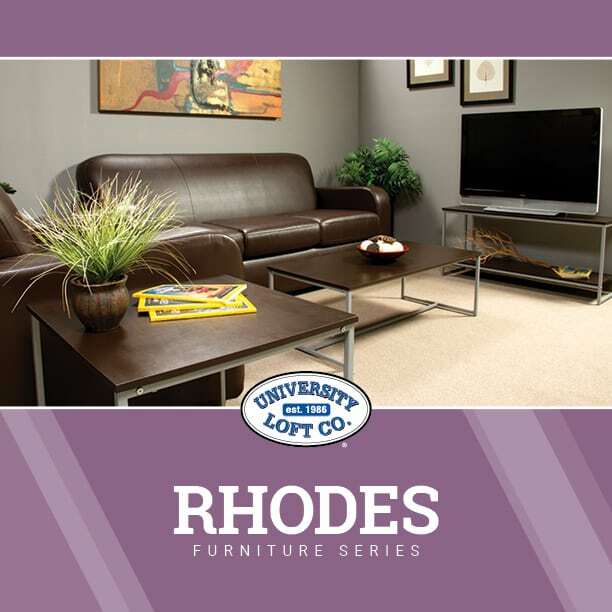 Our latest development is our Rhodes Series with a minimalist approach. It looks good in any student housing environment. The latest from our Flat Iron Series. 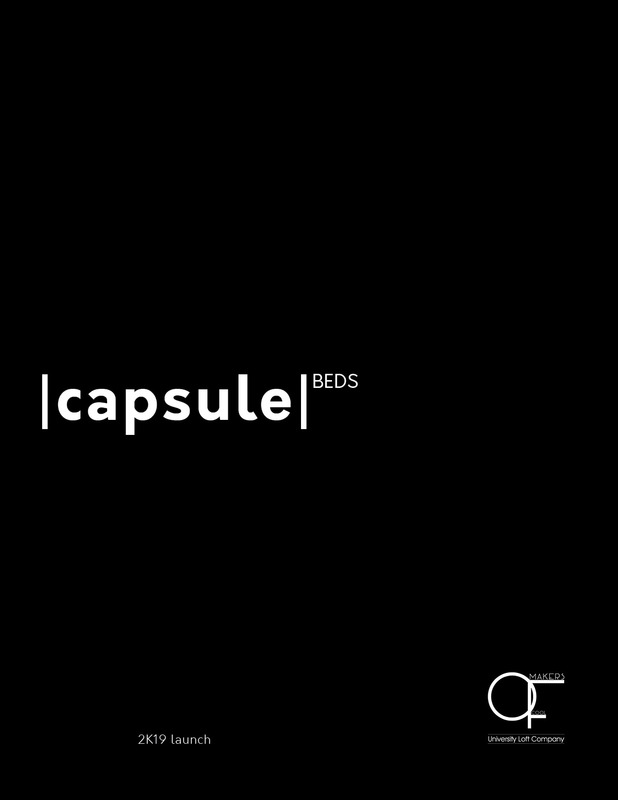 University Loft’s takes it to the next level with Capsule Beds. 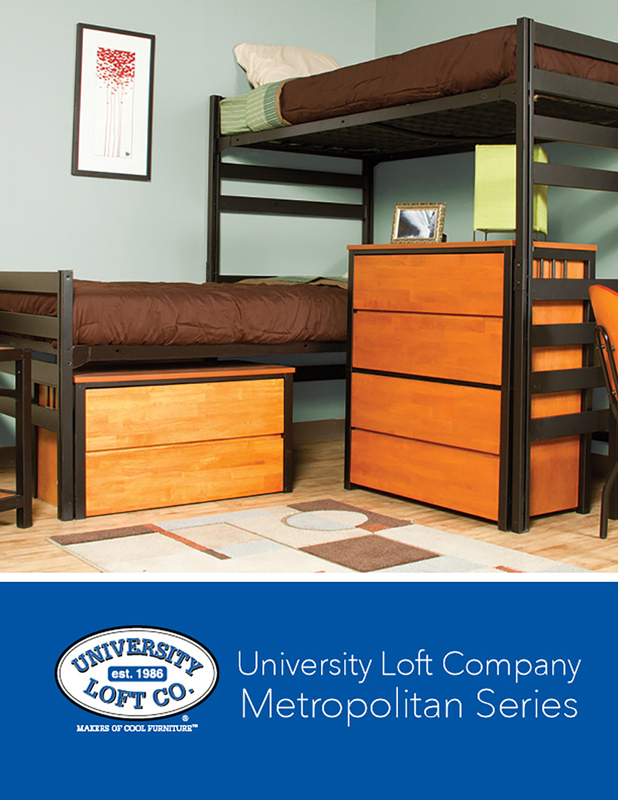 It’s more than furniture with HOME by ULOFT.